Did you just happen to sing the song while reading the title? 😉 That is why we had it there. Continuing with the tradition of giving you some cool recipes for the Summer, here we are again but with Milkshakes this time around. Vancouver looks even more prettier and happening during these few sunny months. With the Sun smiling at you, the light breeze blowing through your hair and colorful flowers blooming everywhere, a chilled serving of milkshake could be your best companion. 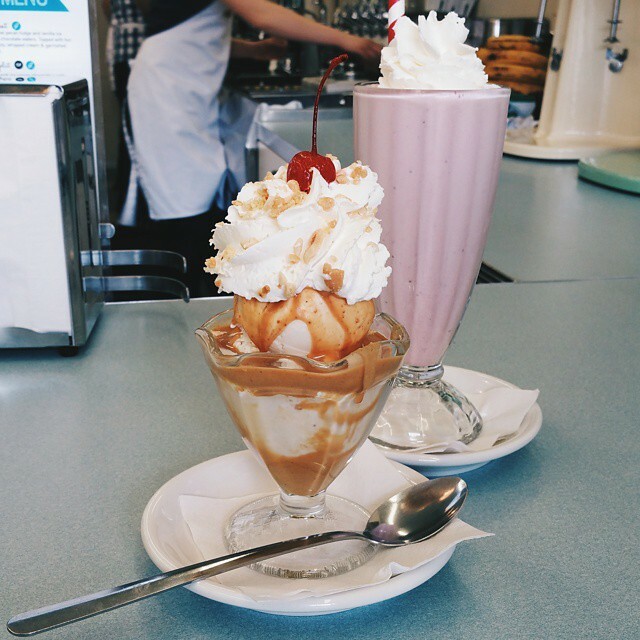 Glenburn Soda Fountain & Confectionery – Located in a far off land called Burnaby (Not really but Ah! Fairytales), this is THE place to be if you are craving summer drinks. 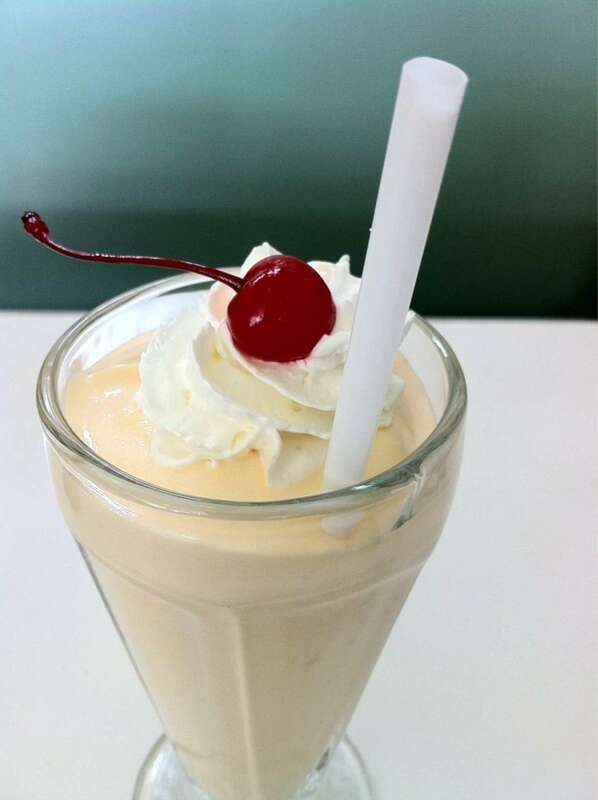 Their menu boosts a selection of Sodas, Fountain Syrups, Malts, Floats and yes, Milkshakes. The old-school charm of this place is the best thing about it (after the food, of course!) Oh, how can we forget their fresh ingredients? 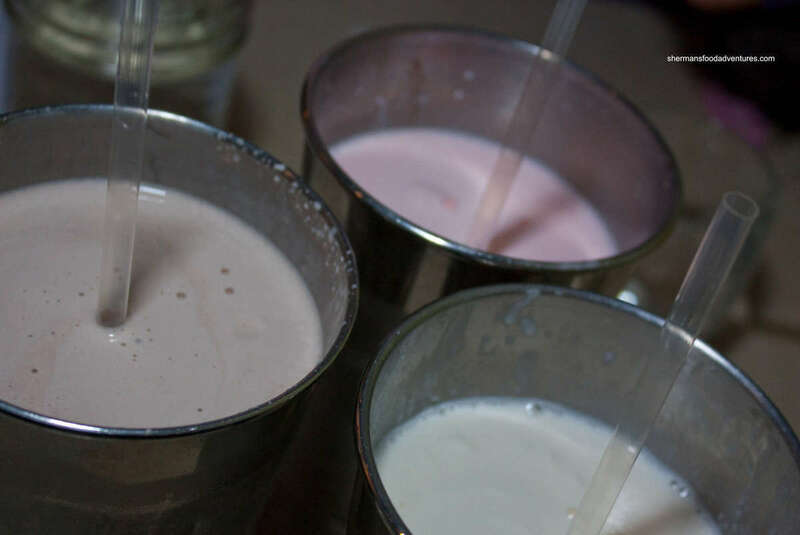 They are all local, fresh and made in-house (that maybe the reason why this place gives you such a home-like feeling) The top milkshake flavor to try is Strawberry…or…Coffee…or…Banana…wait! We can’t decide. How about you try all of them (not all at once but throughout the summer) and decide for yourself? Finally, if you are there, do not miss their Sundaes. They are ah-meh-zing, too. The interiors of this place, too, are bound to take you back in time so be prepared for a trip down the memory lane with your drink in your hand. Roundel Cafe – Roundel Cafe is the all-rounder of this list. The cafe serves tortilla wraps, burgers, sandwiches, sides and our beloved milkshakes. Root-beer milkshake? Yes, please! 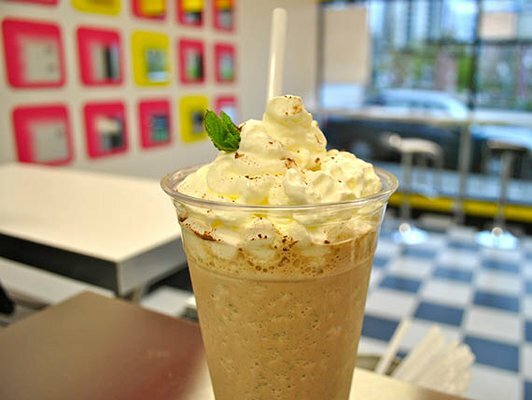 From lavender to peppermint to chai flavors, head to this neighbourhood gem for a complete meal or just the milkshake. Our pick? The Caramel milkshake. Fresh ingredients, friendly people, awesome milkshakes, scrumptious dishes and even more tempting prices, make Roundel Cafe your new hangout. If you want to go the healthy way, add some supplements to your shakes. You read that right. They offer a range of supplements to choose from, too. Make this your to-go place for newer and interesting flavors. Running for your milkshake already? How can we let you go without a special mention? Since we are busy preparing a milkshake schedule for us, we will see you later 🙂 Enjoy the milkshakes and let us know your favorites, too.